Check out American Craft Magazine online. The April/May issue of American Craft Magazine is now out – within the sheets of the magazine – or at the ACC website, one can see familiar faces names and artworks. 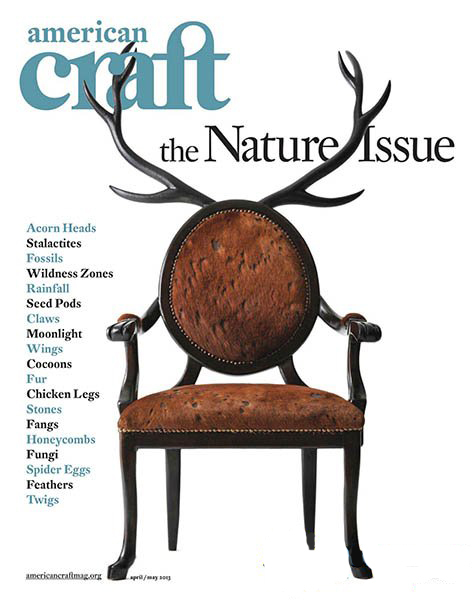 The magazine cover lists the contents: Fossils, Claws, Fur, Chicken Legs, Fangs, Fungi, Spider Eggs and Twigs – so clearly, the magazine is all about WGS. Marc Petrovic’s beautiful blown sculpture “Not The Brightest Bulb” is featured with an article by Glen Adamson, from London’s V & A Museum, that asks if craft can connect the viewers more to nature. Great article by Glen Adamson on the rise of technology and the disconnect with nature. 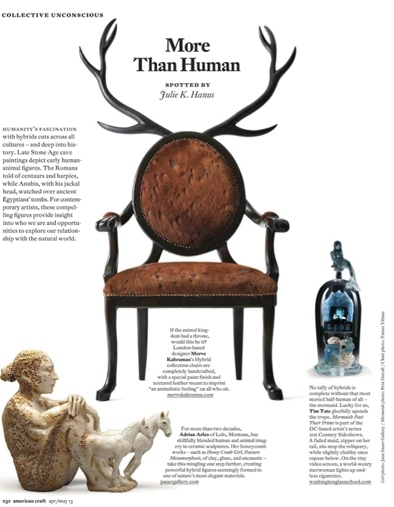 Tim Tate is also featured in the article by senior editor Julie Hanus, titled “More Than Human“. 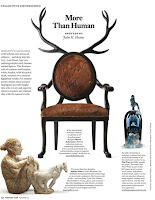 Julie’s article is a fun look at how artists create human/animal imagery to create compelling insights to who we are. His featured work, one of his pieces from his eries ’21st Century Sideshows’ – a mixed media reliquary titled “Mermaids Past Their Prime”. Daily Art Muse blog author Susan Lomuto was the starring actor for the video portrayal of a chain smoking world weary faded maid. 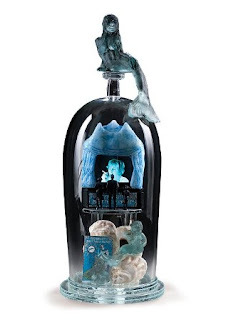 Other glass artists – Martin Janecky and Anne Wolff‘s works were in an article about Habatat Galleries upcoming 41st International Glass Invitational, which opens April 24. The Michigan gallery will have a concurrent exhibition, titled “eXpose,”at that time that includes works by our Sean Hennessey. 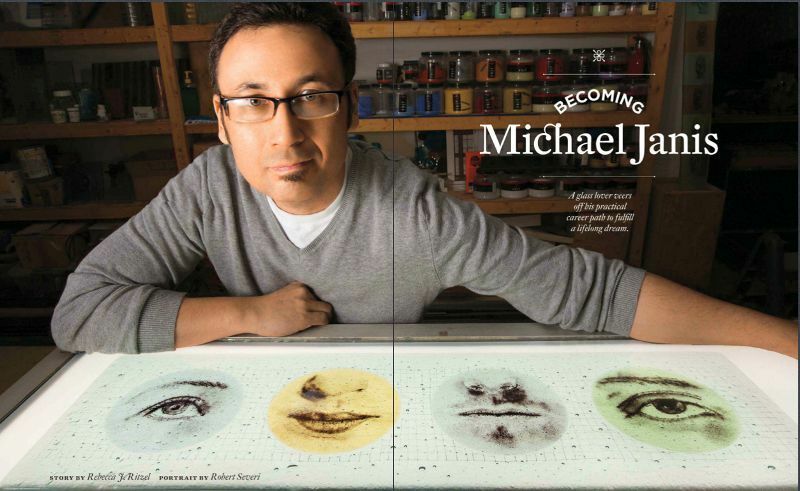 Getting a big spread of 8 pages, Michael Janis is profiled by Rebecca Ritzel. Forget “Being John Malkovich” – the American Craft Magazine article is about “Becoming Michael Janis”! Rebecca talks with Michael and uncovers his past life as an architect in Australia, and how, in a short amount of time, became one of leading ‘sgrafitto’ glass artists in the world. If you get the subscription for the magazine – it should be delivered in the next few days. If you want it online – you can get the digital subscription to the magazine HERE. Or – run right out to the newstand and demand your copy – AT ONCE!